Kliff Kingsbury's grace period is gone. So is his margin for error. It's make or break for the sixth year Tech head coach. He survived 2017 by the skin of his teeth, it's been two seasons since the Red Raiders enjoyed a winning record, and they haven't finished than fifth in the league in his tenure. That's the bad news for Kingsbury. Here's the good news, oddly the Red Raider defense should be pretty good, not dynamic, but robust and that might be all the Tech offense needs to get on track. If they can't, then Tech will be in the market for a head coach in December. Kingsbury's lived up to his hype as an offensive genius, but when you're in a league full of offensive savants, there isn't much of a market inefficiency to exploit. While the offense has been great, because of the neighborhood the Red Raiders live in, the results have been pedestrian. Nic Shimonek graduated, leaving McLane Carter and Jett Duffey to battle it out for the starting job. Neither seized control in spring ball, so the battle continues this summer and in fall camp. Carter holds the experience edge, but Duffey is better playmaker outside the pocket and might have the better arm. 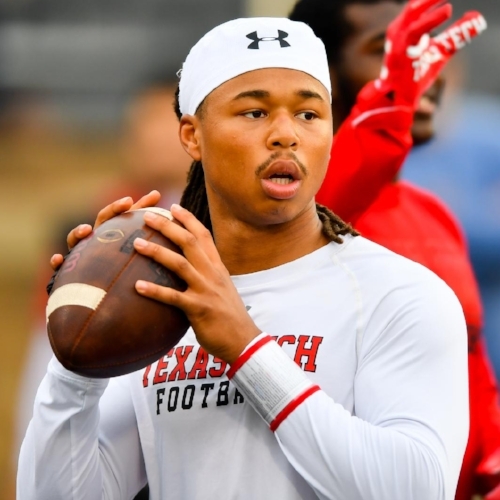 Tech offensive coordinator Kevin Johns told the Lubbock Avalanche-Journal “I don’t see a lot of weaknesses in [Duffey's] game, other than he just hasn’t played in that fast speed, that fast tempo of a defense coming to hunt you down. I think the more comfortable he gets with that, the sky’s the limit for him.” Duffey missed two semesters of school due to a Title IX suspension. Carter's comfort in the offense might give him the edge, but not for long. Carter got the start last season at Texas, and the results were not ideal, he eventually gave way to Shimonek who led the Red Raiders to a critical, bowl-clinching win. At running back, Justin Stockton is in an NFL camp and Desmond Nisby and Demarcus Felton both transferred. Nisby gave Tech a true thumper out of the backfield, his production, and change of pace will be missed. Tre King returns after rushing for 623 yards last year. Da'Leon Ward returns after sitting out last season due to academic issues. He led the 2016 Red Raiders in rushing with 428 yards last year. The Red Raiders have a couple of true freshmen arriving to help as well, but Stockton and Nisby won't be easy to replace. Neither will the receiving losses of KeKe Coutee, Dylan Cantrell, Derrick Willies, and Cameron Baston. Add to that the offseason loss of Quan Shorts, kicked off the team for smoking the ganja, and Tech will start over at receiver. T.J. Vasher is an excellent place to start over. The long, athletic pass catcher can take the top off defenses and pressure in one on ones at the goal line. He caught 29 passes last year, but he's due for much more in 2018. 6-5 Antione Wesley emerged in the spring, catching Kingsbury's eye. So much so that the coaching staff moved him inside to the "Y" receiver position. Kingsbury noted, "he’s a big rangy guy who can really have a big target for those QB’s.” Wesley caught nine passes in the Midland scrimmage last spring. Donta Thompson is another big, 6-5, option who can play inside or outside. He lacks the speed to stretch the defense, but his size creates defensive problems. Tech signed five receivers in February, and they'll be asked to drop their bags off in their dorms and get on the field. Myller Royals and Erik Ezukanma and the two names to watch based on their credentials. Royals went through spring workouts. The Red Raiders have maulers up front. With question marks behind them, the offensive line's experience and ability is a luxury. Terrence Steele and Jack Anderson will hold down the right side. Both have started since their respective true freshman seasons, Steele at tackle, Anderson at guard. Anderson has the tools to be special and play on Sundays. Paul Stawarz returns at center alongside the physical Jacob Hines at left guard. At left tackle, Travis Bruffy is back. Bruffy is a plus athlete who started eleven games in 2017 and played in twelve as a freshman. Madison Akamnonu and Bailey Smith provide depth at the tackle spots as well as Dawson Deaton a true sophomore. Give David Gibbs credit; he's made Tech defense serviceable. Compared with prior seasons, serviceable is fan-freaking-tastic. Gibbs has stuck through the bad times, and now he's turned the corner. Tech's points per game dropped by eleven from 2016 to 2017, and the Red Raiders limited splash plays, at least making offenses work to get to the end zone. This season Tech's defense should be even better. More "serviceable" or perhaps even excellent. Broderick Washington returns at tackle in Tech's 3-4 after starting in all thirteen games for the Red Raiders. He'll start next to a new partner on the inside after Mychealon Thomas moves on. Rice transfer Preston Gordon moves into Thomas' place at nose with Big Joe Wallace competing there as well. At defensive end, Eli Howard was a welcomed arrival last season. The sophomore transfer from North Texas and plays with his hair on fire in getting after the quarterback. Tech will need depth at each of their line positions, especially on the inside. Nelson Mbanasor, a redshirt freshman from Pflugerville, will get a shot to play in the rotation, as will Nick McCann. Quinton Yontz will back up Howard but can swing inside as well. Lonzell Gilmore started at rush linebacker last year before injuries shut down his season, he missed the spring recovering from surgeries, but he's up to 280 pounds and should help out on the line this season. Dakota Allen is a great story. 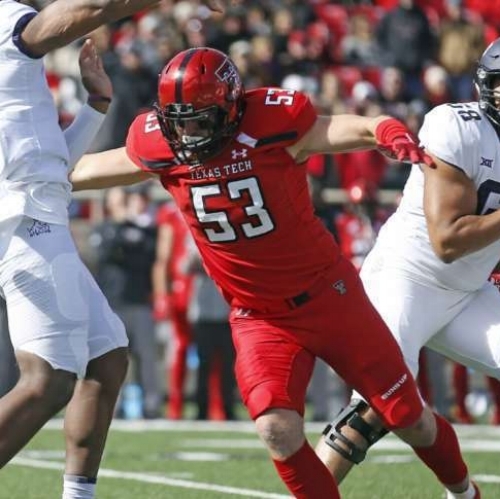 Kicked off the team due to a burglary, he spent a year at Last Chance U and rather than find a new landing spot, he returned to Tech to rejoin his team. He might be the best all-around linebacker in the Big 12. Allen made a team-best 102 stops last season and played all over the field. He'll be joined by Jordyn Brooks who's started since his freshman year. He led the team in tackles two years ago and made 89 stops last season. Brooks is solid, better when Allen is next to him. Allen and Brooks might be the best duo of 'backers in the conference. Kolin Hill returns at "rush" linebacker in Gibbs' 3-4. He'll compete with a more athletic Tony Jones to give Tech two viable options. Christian Taylor and Brayden Stringer provide depth, but the falloff is drastic. The Red Raiders return just about everyone from their secondary, including Octavious Morgan, Desmon Smith, Justus Parker, and DeMarcus Fields at corner. Tech will play three of those four 80% of the time. Parker proved to be a big-time playmaker last season, and Smith gives the Red Raiders range at 6-2. Vaughnte Dorsey and Jah'Shawn Johnson are back at safety. Dorsey is one of the more physical safeties in the Big 12. Johnson is a steady hand and three-year starter on the other side. Dorsey and Johnson are in the upper echelon of Big 12 safeties. It won't get better than this. Tech is set with a rusher, a run stopper, two excellent linebackers, several competent corners, and a two of the better safety nets in the Big 12. Expect Tech's defense to continue to improve and carry the team early in the season while the offense works out the kinks. Tech's kicking issues were prolific like a nasty sunburn. Everywhere you looked there was pain. Four players gave it a shot. They made half of their kicks. They cost Tech games. If Clayton Hatfield is healthy, he helps the kicking game a lot. He was a Grouza Award Candidate before things went off the rails. At punter, Dominic Panazzolo returns after averaging 41.4 yards per kick and dropping fifteen inside the 20. Vasher looks like the next big-time receiving star. He averaged almost 20 yards a catch with six scores last season and came into his own in the second half of the season. Steele is a bedrock at tackle, starting every game in his Tech career. He can swing to either tackle slot. Anderson came onto campus as an early enrollee last year and took an interior position on the offensive line as his own. He could leave Tech as one of the greatest linemen in school history. After transferring from North Texas, Howard became one of the best pass rushers in the Big 12 with 8.5 tackles for loss and 5.5 sacks. A true three-down linebacker, Allen is a tremendous redemptive story and one of the best linebackers in the Big 12 as well. Johson is a three-year starter at safety and team captain, earned Second Team All-Big 12 recognition last season, adding to an Honorable Mention selection in 2015. The Raiders pick up a pick win over Ole Miss and then beat Houston to start 3-0. If Tech can beat the also-rans and pick off a couple of name brands, they could get to eight or nine wins. Oklahoma State in Stillwater and TCU in Fort Worth, if the defense is on a higher spectrum, are the only bridges too far. Other than that, Texas Tech can play with anyone. That should be enough to keep Kliff in Lubbock. 8-4. The offense is uncharacteristically underwhelming, and Tech can't win the opener against Ole Miss. Houston becomes really important. 5-7. The Red Raiders are at a crossroads. They have the defensive talent and offensive insight to put the fear into a lot of Big 12 foes. They're also potentially fragile enough to watch it all blow-up. The question comes down to whether Kingsbury renovation of his program is ready for the next step. Another season of stagnation and failing to close the gap between the upper half of the conference and Tech will move in a different direction. Posted on June 17, 2018 by The Roundup and filed under Southwest Round-Up, Texas Tech and tagged 2018 Season Previews Kliff Kingsbury Texas Tech McLane Carter Jett Duffey Justin Stockton Desmond Nisby DeMarcus Felton Tre King Da'Leon Ward Kingsley Keke Dylan Cantrell Derrick Willies Cameron Batson T.J. Vasher Antione Wesley Donta Thompson Erik Ezukanma Myller Royals Terrence Steele Jack Anderson Paul Stawarz Travis Bruffy Jacob Hines Madison Akamnonu Bailey Smith Dawson Deaton David Gibbs Broderick Washington Mychealon Thomas Preston Gordon Joe Wallace Eli Howard Nelson Mbanasor Nick McCann Quinton Yontz Lonzell Gilmore Dakota Allen Jordyn Brooks Kolin Hill Christian Taylor Brayden Stringer Octavious Morgan Desmon Smith Justus Parker DeMarcus Fields Vaughnte Dorsey Jah'Shawn Johnson Clayton Hatfield Dominic Panazzolo.